Home / Celebrity / Lalla Hirayama / Lungile Radu / Lalla Hirayama Sends Lungile Radu The Sweetest Shoutout! Lalla Hirayama Sends Lungile Radu The Sweetest Shoutout! Lalla and Lungile had a mini-reunion Monday night as they co-hosted Homeground and just like back in the day, their onscreen chemistry is still on point. 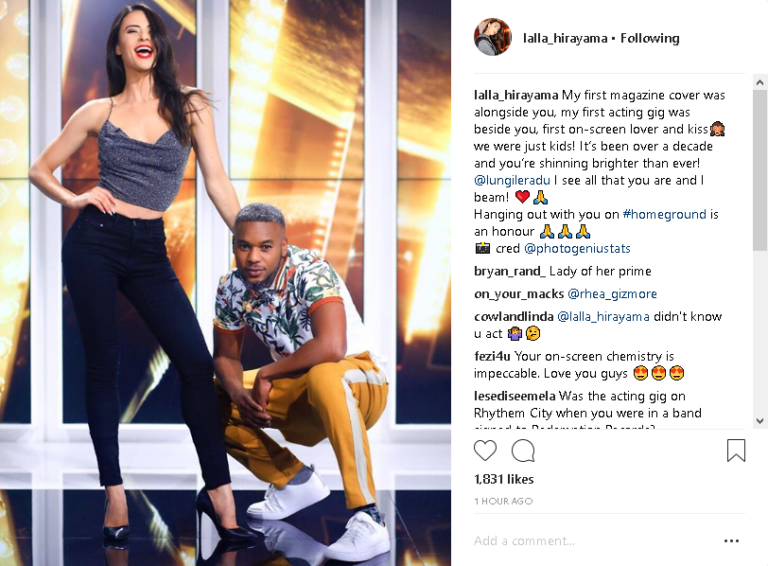 Lalla later took to Instagram to give Lungile a shoutout reminding him all the moments they worked together and how she experienced a lot of her industry firsts with him. “My first magazine cover was alongside you, my first acting gig was beside you, first on-screen lover and kiss…we were just kids! It’s been over a decade and you’re shining brighter than ever! @lungileradu I see all that you are and I beam,” Lalla wrote.